Do you like a Christmas Wreath or a Christmas Tree? This is the time of year when I seem to sell out of Christmas tree pins. I just can't seem to keep them in stock. 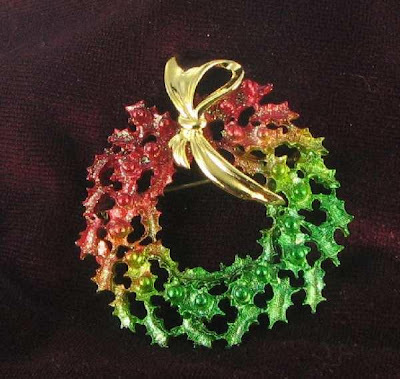 But there is another type of Christmas jewelry that also attracts buyers as well - Christmas Wreath Pins. We all use them to decorate our doors during the holiday season.Why not decorate our jacket lapels with them too? 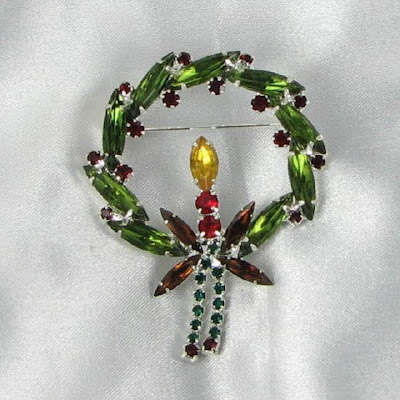 Christmas wreath pins come in an array of colors and sizes. 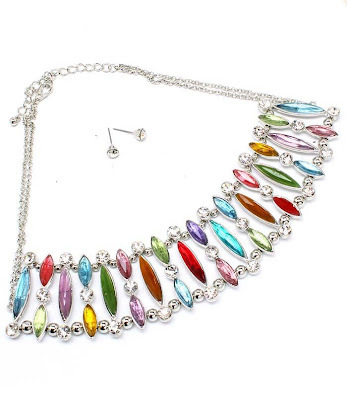 You can get enamel designs for a daytime look or add a little bit of glitz with rhinestones in a more dazzling style. 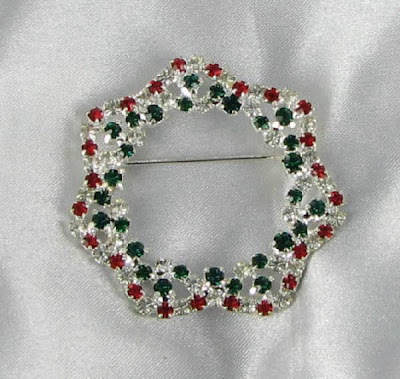 Dazzling red and green rhinestone design in silver tone metal. One of my best sellers! This pretty style has a small candle in the inside. I love the navette shaped rhinestones. 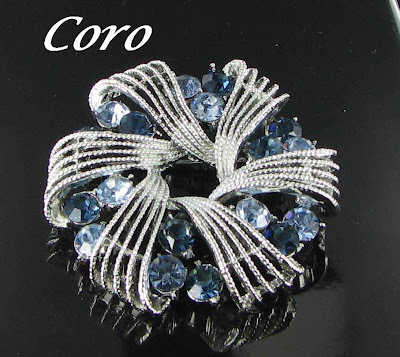 This pretty style from Coro features a circle of pale blue rhinestones inside the outer wrapping. Just delightful! Here is another pretty candle style but this time in enamel. Perfect for a daytime look. This interesting Christmas wreath design can't seem to figure out whether it wants to be green, red or orange...and a lop side bow to boot. For someone who likes to think outside the box. 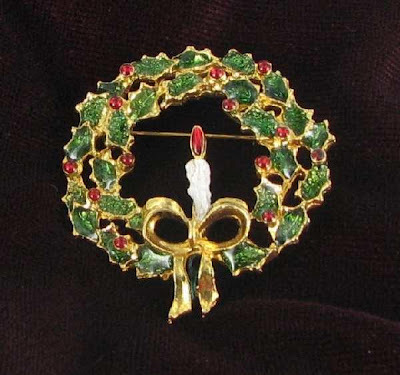 For my full range of Christmas wreath pins, please see Vintage Jewelry Lane. What is your favorite style of Christmas pin? Do you prefer trees or Christmas wreaths? Runway jewelry, that worn by models on many of the fashion runways, is usually quite ornate and dazzling. It's also the perfect choice for all the festive occasions that seem to turn up the time of the year. I had a look through my various stores to see what would make great accent pieces for some of your nicest fashion designs and here they are. Just click on any of the pictures for more details about the pieces. Dazzling mauve and green flower bib necklace with ornate festoon design. A stunner in pink rhinestones. Lovely formed and fitted neckline. Perfect color for Christmas - red and clear rhinestones with a bib design. These are just a few of the choices. See more festoon necklace and earrings sets in my Bonanza Shop Jewelry Lane.